The International Civil Aviation Organization (ICAO), in partnership with the International Air Transport Association (IATA) and Airports Council International (ACI), is offering opportunities for the development of career aviation professionals through a Young Aviation Professionals Programme. The selected Young Aviation Professional Officers will be expected to contribute to ICAO, IATA and ACI work programmes related to aviation safety, air navigation capacity and efficiency, or to economic development of air transport, aviation facilitation, or environmental protection, focusing on inter-relationships between regulatory activities of ICAO and those in the airline and airport industries in IATA and ACI. Eligible applicants from all over the world are invited to apply for the ICAO Young Aviation Professionals Program. Commitment to continuous learning: The willingness and ability to engage in self-development, keep up-todate with new developments, help others to learn and learn from others. Planning and Organizing: Ability to set clear goals, prioritize, anticipate problems or risks, and have effective time management skills. Communication: Ability to write in a clear, concise and accurate manner. Ability to communicate verbally and with diplomacy. Client Orientation: Ability to see from the clients’ perspective, anticipate client needs and concerns; find appropriate solutions for clients, and keep clients informed. Teamwork: Ability to work collaboratively with others and maintain harmonious working relationships in a multicultural environment. Technological awareness: Ability to use contemporary software such as MS Office Suite (Word, Excel and PowerPoint), SharePoint, or equivalent and demonstrate a willingness to learn and use new technology. Level of educations: a) Master’s degree (or equivalent, to be demonstrated by the applicant); or b) Bachelor degree, supplemented with a Commercial Pilot License or an Air Traffic Control License. Experience: Minimum of two years’ professional working experience in aviation-related regulatory activities and/or in the aviation industry. Age criteria: Aged 32 years or less on the closing date of this announcement. Note: Preference will be given to candidates who are not currently serving, or who have not previously served, as an intern with either ICAO, IATA and ACI. Each Young Aviation Professional Officer position will be filled for twelve months. Living Costs: All living costs and expenses will be borne by the Young Aviation Professional Officer. Financial Support: A fixed amount of CAD $4 000 per month will be provided to each selected Young Aviation Professional Officer to assist with living costs. Annual leave will be provided at the rate of one and a half days per month. Sick leave will be provided at the rate of one day per month. Medical insurance will be provided at the single rate for prescription/medical/dental coverage within Canada. The selected candidates will be required to pay the employee portion of the premium, which is estimated to be approximately CAD $ 117.65 per month. Occupational accident insurance will be provided (at no cost to the selected candidates). Non-occupational accident insurance will be available to the selected candidates, at their own cost. Travel: Where required, travel costs to and from Montreal at the beginning and at the end of the Programme will be provided at the lowest available applicable fare. The cost for one excess baggage (i.e. baggage in excess of the weight or volume carried without charge by transportation companies) will be covered up to a maximum of 25 kilograms. Visa: ICAO will provide a letter of support to assist in obtaining the required visa. Interested candidates who meet the selection criteria are requested to submit their candidature by completing the online application form available here before the deadline date. They must also attach a motivation letter summarizing: their professional achievements to date; their suitability for the Programme; their career aspirations in regulatory activities and/or the aviation industry; and the field of work for which they wish to be considered. Candidates should also indicate their preferred task(s) from the lists provided in Appendix A and Appendix B and explain why they have this interest. Candidates who do not complete the online application and the motivation letter will not be given consideration. 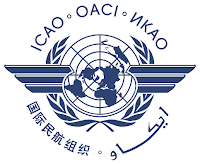 The International Civil Aviation Organization (ICAO) (in French: Organisation de l'aviation civile internationale, OACI), is a specialized agency of the United Nations. 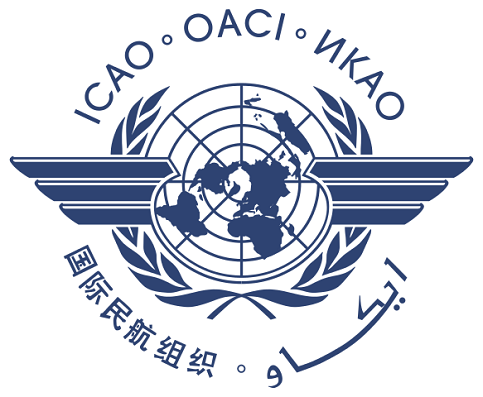 It codifies the principles and techniques of international air navigation and fosters the planning and development of international air transport to ensure safe and orderly growth. Its headquarters is in the Quartier International of Montreal, Quebec, Canada.